Playable with other resource packs! To do so, load both resource packs, and put this one on top! 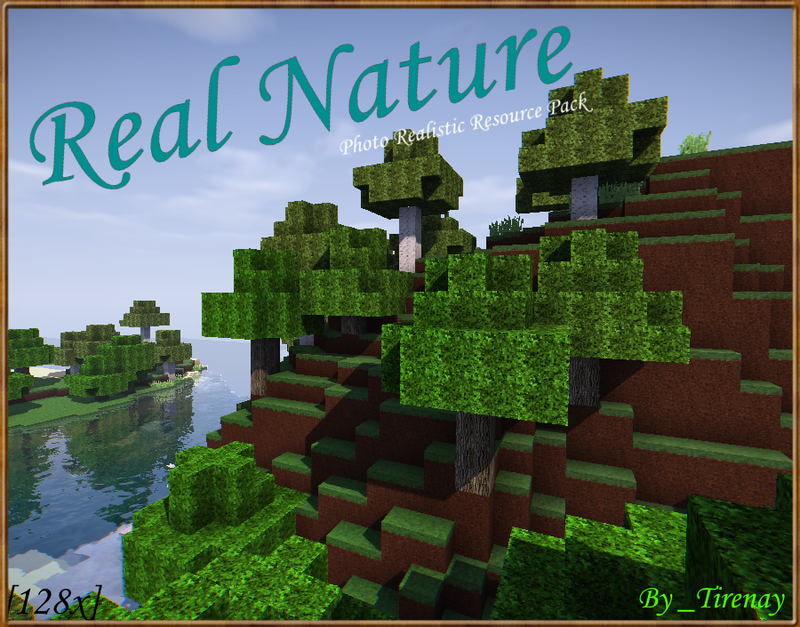 The Real Nature Resource Pack is a set of detailed, photo-realistic textures, which, of course, make your Minecraft worlds look more realistic. Originally a set of beautiful sky textures, designed by CraftMaster7, this pack has acquired a new Project Lead, _Tirenay, along with more textures! You can now experience a world with realistic sky, water, lava, and an increasing number of block textures. Enjoy! For cloud textures, Optifine is required! Get it here! Want to help create textures? Contact us at craftmasterdev.mail@gmail.com! - Added 60 New Block Textures! For Our Forum Post, Click Here! We accept texture submissions from the community. If you have some textures you would like to submit, visit our website here for more information. While we could use some help on vanilla textures, we need the most help on modded textures, if you are willing to submit them!